NOTE: Due Amici no longer offers live jazz on a regular basis. 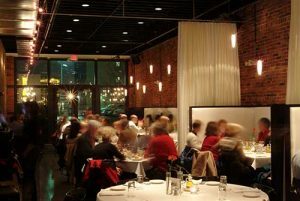 Due Amici is a fine dining restaurant located in downtown Columbus on the renovated Gay Street area. Enjoy old world Italian cuisine with smart, contemporary style and a chic interior along with live jazz on some weekends.